Collected technical documents including theory and how to instructions; Case Studies, Checklists, Databooks, and Quality. Strain Gage Installation Checklist -- Aluminum: Since Aluminum is an isotropic and homogenous material, selecting the strain gage, adhesive, cable, and protective coating is a very straightforward procedure. Following is a guide to step you through the process of selecting strain gages and materials for measurements on aluminum. Strain Gage Installation Checklist: Composite and Plastic Materials: Composites typically have one of two surface conditions. The tooling side is usually smooth requiring slight roughening to give the adhesive something to bite into. The non-tooling side is usually rough due to the layup of either woven or filament wound or random orientation carbon fiber filaments. This kind of surface typically needs to be as filled to make it smooth enough for bonding. The gage length is dictated by the desired averaging. With woven composites, that would typically be 3-5 cycles of the weave. Since composites are typically poor conductors of heat, pre-cabled gages or gages with preattached leadwires are highly recommended. For long-term dynamic loading conditions, strain gages with maximum fatigue life may be required. Strain Gage Installation Checklist: Concrete: Concrete is a porous material and generally will have a surface that is too rough to form a very thin and void-free adhesive layer between the strain gage and the concrete. For these reasons, concrete must first be sealed with an epoxy such as M-Bond AE-10. Long gage length strain gages are typically required on the surface of concrete in order to correctly strain-average over the aggregate and mortar mixture. Since concrete is a poor conductor of heat, precabled gages or gages with preattached leadwires are highly recommended. Strain Gage Installation Checklist: Glass: The application of bonded foil strain gage sensors to glass can be problematic due to the smooth surface and the fact that surface abrasion is generally not allowed on glass or glass-like test articles (stress concentrations). That, along with glass' poor heat-sink rating can contribute to excessive gage failures while soldering, so the use of pre-cabled gages, such as C2A-Series or gage series available with options P or P2, are highly recommended. Surface preparation is generally limited to chemical rather than chemical/mechanical. 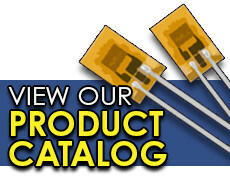 Strain Gage Installation Checklist: Printed Circuit Assemblies: Advances in printed circuit assembly design and manufacturing, plus the requirement for lead-free solder, have resulted in a need to test PCAs to determine if the design can withstand the rigor of manufacturing, packaging, transporting, and day-to-day use of electronic devices. The electronics industry has produced standards, such as IPC/JEDEC 9704 and IPC/JEDEC 9702, which describe the methods in which strain gages are used for printed circuit assembly testing. Strain Gage Installation Checklist: Steel: Strain gage applications on steel can be exposed to a wide variety of environments and temperature conditions, so attention to the variables related to these two conditions is important. This guide will lead you through the selection process for the strain gage, adhesive, wire and solder, and protective coatings to ensure the most successful results when measuring strain on steel.